Have you ever had a bookish nocturnal dream? If so, please share the story. If not, have you ever had a daydream related to books? If so, please tell us about it. I don't think I've really had a bookish dream either waking or sleeping. I do sometimes daydream about having more time to read or organizing all my books but not so much the story I'm reading. This week I'm jumping into a series on book 3. I've been wanting to read the Writer's Apprentice Mystery series since the very first book. I love books about authors and the covers were just so amazing. I haven't gotten to books 1 and 2 but this week I'm talking about book 3 - A Dark and Twisting Path by Julia Buckley. So far I'm really it! Victoria West, tragic and beautiful, spoke into the camera. I wonder why she's so tragic - if it's real or just acting. It was the sort of place one couldn't imagine leaving. There wasn't much going on on this page but I did like this sentence. It could be really nice and peaceful or a bit ominous! Looks like a fun book. And I don't know if I've ever had a bookish dream- if I did I'd probably just forgt it anyway! I've heard really good things about the series you started. Of course, I'd like to start with book #1 - wait, I might even own it. Ha! I'd love to read this. Sounds mysterious and such a lovely and captivating cover. I've been wanting to read this series, too. I might start with #3 as well. It really looks like my kind of cozy. This series is appealing to me, too. I bought the first book when it came out, but haven't gotten to it yet. I agree that the covers and titles are fabulous. I've had millions of dreams over the years and have forgotten most of them by now. I'm intrigued and curious for more! Happy weekend! This sounds like a fun series. I like books about authors too. I'd have to start with book 1 though. Mine is from The Point by John Dixon - a science fiction thriller from my review stack. Happy reading! Dude, I wanna know why she's tragic! 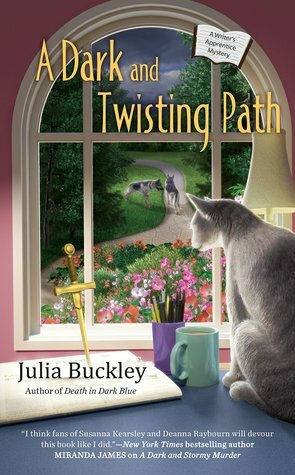 I don't typically read cozy mysteries, but I might have to read this one just to find out why she's tragic. Okay, now I'm curious about the rest of the story. I've been wanting to read this series, too. Can't wait to see what you think! I do like the cover as well! The series is completely new to me but sounds like fun. The Hunger Games gave me nightmares. Yes, I've had dreams based on books. I'm going to look up this series now. I have read the first one in this series and really enjoyed it. I can't wait to continue the series! More cosy kitties! Happy Reading! I don't know if I have bookish dreams or not. I rarely remember my dreams but I usually read before bed so I probably have. Enjoy your book! Thanks for always stopping by my blog, Katherine. I never dreamed of a book either. Having more time to read is DEFINITELY a GREAT daydream!! We bookworms never do seem to have enough time to indulge in our FAVORITE activity, right? LOL. Hope you DO find a way to have more reading time! But seriously, that cover caught my eye RIGHT AWAY! So I'm adding this book to that list I just mentioned!! And I'm going to check out the previous ones in the series, as well! 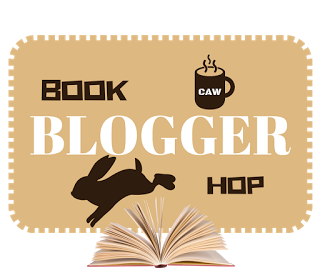 I missed this week's topic for BBH because I cannot for the life of me think of a bookish related dream... Have a great week!